Since 1980, we've been serving the West Michigan area and making thousands of smiles brighter, one child at a time. Your child will love visiting our office! Our office features a kid-friendly waiting room, a train that travels around and even a huge "Nemo" fish tank in the treatment room. Access to early dental care (starting at age one) can promote a lifetime of healthy smiles for your child. Together with our skilled and nurturing staff, we pledge to provide a positive dental experience and help equip your child with the knowledge necessary for good oral hygiene. 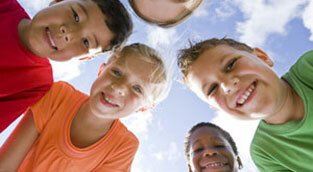 Experience why parents across the area choose us for their child's dental office. 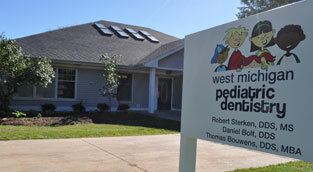 Welcome to West Michigan Pediatric Dentistry! West Michigan Pediatric Dentistry provides specialized dentistry for infants, children, and adolescents, including those with special needs, and is committed to providing your child with the highest quality dental care. With three doctors trained in the top pediatric dental programs, we offer patients care based on a wealth of experience and training. We encourage parents to be a part of the process by accompanying their child during their visits. Our goal is to make each visit a great experience for your child. We are located at 844 S. Washington in Holland. See our contact page for directions. Together with our skilled and nurturing staff, we provide a positive experience and help equip your child with the knowledge necessary for good oral hygiene. At West Michigan Pediatric Dentistry, our patients and families are so very important to us. If you have a question, we'd love to hear from you! We’ve heard this question more than a few times. What a welcoming, fun environment! From the office staff to the hygienists to Dr. Sterken, everyone was absolutely wonderful and made each of my children, ages 5 and 8, feel welcome, safe, and comfortable. We make a one hour trip one way, and wouldn't have it any other way! Thank you for making my kids' dental experience an amazing one!